No need to get in a pickle when planning your Easter activities in 2016. We’re being pretty ‘eggstravagent’ this year with not one but eight egg hunts over the weekend (25 to 27 March 2016) and into the school holidays. So picking one to attend should be positively ‘over easy’. Follow clues through Dewsbury Museum, Crow Nest Park and around St John’s Church to win a delicious chocolate egg. Free. Pick up a form from the Countryside Centre and find clues hidden around the play area to win a mini egg and voucher for Oakwell Hall. Free. Find the chicks hidden around Red House to win a mini egg. Free chick hunt but normal admission charges apply. Join in the Easter egg hunt for your chance to win a giant hamper or get your face painted for free. There’ll be balloon modelling in the centre of the market as well as other fun events. 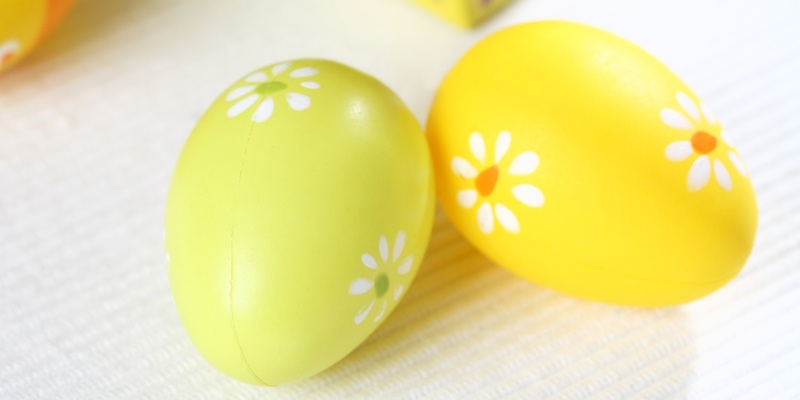 An Easter themed alternative market will include an egg hunt as well as the chance to decorate a wooden egg cup. There will be around 20 stalls including arts and crafts, vintage clothing, jewellery, cakes, and lots more – all stallholders and performers are aged between 13 and 29. There will be free face painting and a free craft workshop both running 11am-3pm. There will also be an egg hunt with the chance to win a giant chocolate hamper. Queensgate Market will be open on Good Friday and Easter Saturday, but will be closed on Bank Holiday Monday. Follow clues around the museum and park, solve the puzzle and win some tiny chocolate eggs, then decorate an egg box to put them in. £1 per child, suitable for 3-8 years. No booking required. Egg hunt’s not for you?